As we venture closer the end of the year, we also venture closer the end of the iJailbreak Exclusive Awards for 2010. In fact, we only have 2 more months before we reveal who wins the $100 cash and the iJailbreak Exclusive Award (which will happen at the end December). Regardless of drawing near to the end of the iJailbreak Exclusive Awards 2010, we still saw some amazing themes this month. In fact we saw Alien1947 return and win this months iJailbreak Exclusive Award with his killer theme LucidDream. We also saw some other themes like Timeless by BlueMetal and DietSug4r by SuperTod. Congratulations to all of you, and remember… keep up your hard work. It is truly appreciated. *Snap* no you are not dreaming… and Yes, this is a real theme. Lucid Dream by Alien1947 is a theme that can truly makes you believe you are dreaming. Not only is the theme out of this world, it is by far one of the most unique themes I have seen in awhile. When you take a look at LucidDream, you can not help but get lost in its sleek UI, and professionally designed artwork. When we say this theme is extraordinary… it is an understatement to how amazing this theme really is. What are you waiting for, check it out! In the month of October we saw some themes that were truly breathtaking and extraordinary! Whether you are looking at this months winner Alien1974’s theme Lucid Dream or Timeless by BlueMetal; you can really see how dedicated these theming masters are! Congratulations also goes out as well to all the other themes that made it into this months top 6 extraordinary themes of October. Please make sure you take a look at the top 5 runner up themes that made their way into this month’s Top 6 Extraordinary Themes of October. Timeless – created by BlueMetal, truly is one of a kind. It is a theme that will forever be remembered as one of the sleekest themes ever created. Not only does Timeless provide a complete UI overhaul, it is a UI overhaul that has been handcrafted so that every pixel looks magnificent. This is just one of those themes that you truly get lost for words when describing. Note: This theme also comes with a HD version for the iPhone 4. It is no doubt that the Windows 7 Phone features a cool and unique UI. 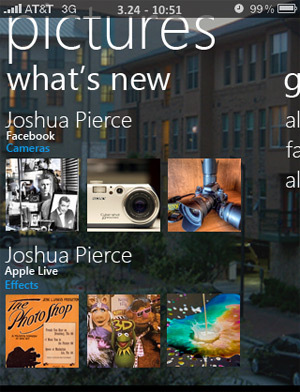 It is also no doubt that JJPierce did one extraordinary job of bringing the Windows 7 phone’s style to the iPhone. This theme is truly a graceful look at what your iPhone would look like if it was running Windows 7 mobile. Sometimes simple is the way to go, but why go simple when you can have a theme that is elegant, clean, and simple at the same time. This is what iLimpid is about, and when you install iLimpid to your iPhone, you will truly experience one extraordinary theme. If you are someone who loves the HTC style, or are simply looking for a theme to make your iPhone stand out from the crowd. iWarp HD2 HTC is a theme that is right for you. This theme features a custom lockscreen and userinterface that will truly impress your friends. It is a theme truly does a great job of warping the HTC HD 2 theme by Alien1974! Bottom line… long name, but one truly extraordinary theme. When we say DietSug4r, created by SuperTod is a theme that is truly amazing, we truly mean it. This theme provides some simple transparent icons, that when coupled with the iOS4 firmwares ability to set background images – becomes extraordinary. What more could you ask for in a theme? This months top 6 themes of October featured some themes by well known theme developers such as Alien1974 and BlueMetal. It is no question that these theme developers and all the theme developers that made it into this months top 6 extraordinary themes of August have acquired some serious talent! These were the top 6 Extraordinary themes of October 2010, If you are interested in submitting your theme to the Top 6 Extraordinary themes of November please contact me.